The Rhii B & B is located in the beautiful, small, medieval country town of Eglisau and has much to offer. In addition to many outdoor activities such as hiking, cycling, swimming, boating, Stand Up Paddeling and diving also regularly cultural events and festivals take place during the season. The vineyards and wineries invite you to linger and wine tasting. With the S-Bahn in just 30 minutes in the city center of Zurich. Zurich Airport can be reached in 20 minutes. This was a wonderful experience. Joel met us at the train station and transported our bags to his apartment-very welcome after a long day of travel. The apartment was modern, spotless and well organized for seven of us. Joel even provided supplies for breakfast. The apartment is located in quiet historic neighborhood making for restful nights and pleasant walks in the area. The beds were very comfortable and fans were provided for each bedroom- a nice touch that is too often neglected. The kitchen was better than most and was quite serviceable. We especially enjoyed the espresso machine (pods included). Loved It Here! Would Recommend To Anyone & Everyone! My group of 7 was looking to find a place to spend nights after spending days in nearby Zurich. However, we ended up loving Eglisau and the HomeAway so much that we only spent one evening out of three days in Zurich and spent the rest of the time around Eglisau! I'll start my review with the town of Eglisau itself. First of all, it's a beautiful town that can almost be considered rural due to its size. It only has about 4 restaurants (according to TripAdvisor) and none of them were available to us, so we ended up cooking basically all our own meals. One restaurant is only open 2 days a week, one cafe is only open 3 hours a day, another restaurant costs about 90 CHF for a 4-course meal, and the final bar closes at 10pm. However, this is probably the only downside of Eglisau for me. The weather is wonderful, the people are friendly, and there are lots of hiking trails, rentals, or other things to do within less than 30 minutes. The HomeAway as well as the owner whom we talked to named Joel could set an example for other HomeAways! Joel picked us up from the train station and helped us with our bags, which was very welcome after a long day of travel. He also offered local recommendations and to bring us breakfast foods everyday, which we only accepted once because we bought much of our own food from the local market. The rental is extremely close to the river and makes it an absolute delight to look out the window while enjoying the provided coffee or tea. Everything was clean, functional, and if we had any questions, Joel was only a call or text away and responded very quickly. The design is modern, colorful, and comfortable and we loved our stay here. Our only complaints were that there wasn't air conditioning or fans so the rental could be pretty hot, and the nearby bell tower was very loud when it chimed every 15 minutes, especially when you're trying to sleep. I just want to reiterate that we enjoyed this HomeAway and Eglisau so much that we warped our expected vacation so we could spend more time here. Thank you to Joel and Mirjam for giving us a wonderful time and I hope this review provides additional renters because you've definitely earned it! I wish I can give this rental place more than 5 stars and the owners. Joel, Marijam and Eva sorry if I misspelled your names, went over and beyond and made our stay most memorable moment for us. Joel was in touch from beginning of my arrival, they had everything in the house for us and even provided some breakfast and snacks so we don't have to run around for some stuff. Parking was little tough, but we were lucky to park right on the river and it's paid parking only small downside for the rental. It's kinda busy area, so it's given you would pay to park and location is amazing. We loved the rental place and would certainly visit again. Our family of 6 adults and one toddler stayed there with ease. The owner was very helpful and kind to give us nearby sites to visit which was very satisfying . Had he not told us we would have missed out on a lot of beautiful places . Recently stayed a few nights in this quaint little village. The property is fantastic and was more than adequate for our party of 7. We had plenty of room and never felt crowded. The apartment contained everything we needed and there is swimming and boating very close to the apartment. Everything is within walking distance and the train connections are a short walk away. Manuela and Markus were very friendly and pleasant to deal with. 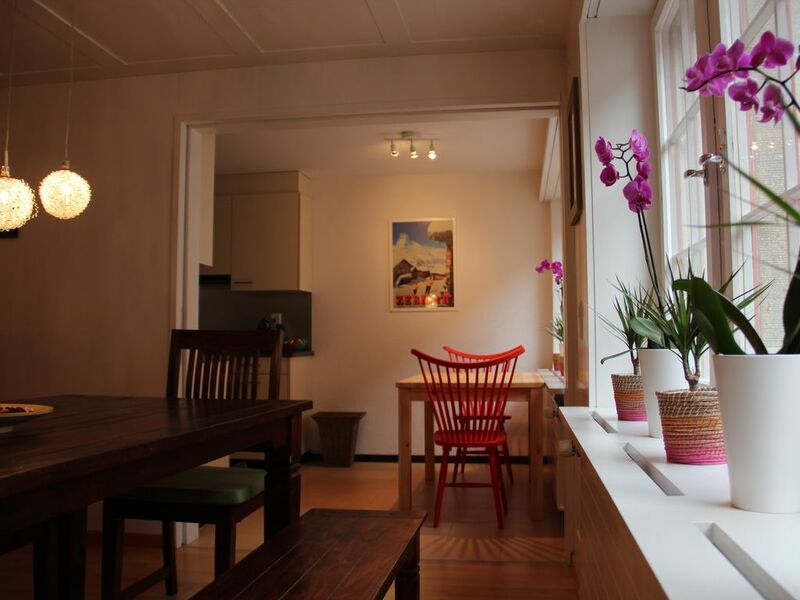 The whole booking process went very smooth and we highly recommend this apartment if you want to be in a nice, little Swiss village but very close to Zurich and the countries fantastic train system. Overall, we enjoyed our stay in Eglisau and would recommend this apartment! Verfügbarkeit auf Anfrage ! Der Mietvertrag ist erst nach schriftlicher Bestätigung unsererseits gültig. Bei Buchung von nur 1 Nacht berechnen wir CHF 70,- für die Endreinigung extra. Ab 2 Nächten ist die Endreinigung inclusive !